We Come to You… FAST! If you have been asking the question, “Who is the best 24 hour locksmith near me?” and you live within 30 miles of downtown Atlanta, we think we have the answer! 24 Hour Locksmith Pros is a true local, mobile 24/7 emergency lock smith service committed to providing the best service in town at an affordable price. 24 Hour Locksmith Pros is here to help you, whatever your lock problems – car lockout, locked out of your house, key cutting, safes, etc – and we can get to you fast! We pride ourselves on the quality of our work, performed by qualified, experienced locksmiths, and you can take comfort in the fact that you are protected by our service warranty and certification standards. So, call us now! Our friendly team is waiting to help you. We have been providing premium locksmith services to the people of Atlanta and surrounding neighborhoods for well over 10 years. In that time we have built an enviable reputation for quality, reliability, honesty and integrity. The locksmith industry is not regulated in Georgia, so you really have to be careful with the locksmith you select. You can be confident in the qualifications of all of our technicians. We are members of the Georgia Locksmith Association, which is affiliated with the Associated Locksmiths of America and all of our locksmiths are appropriately certified. When it comes to securing your home, opting for the services of a qualified and certified residential locksmith is always going to be your best approach. 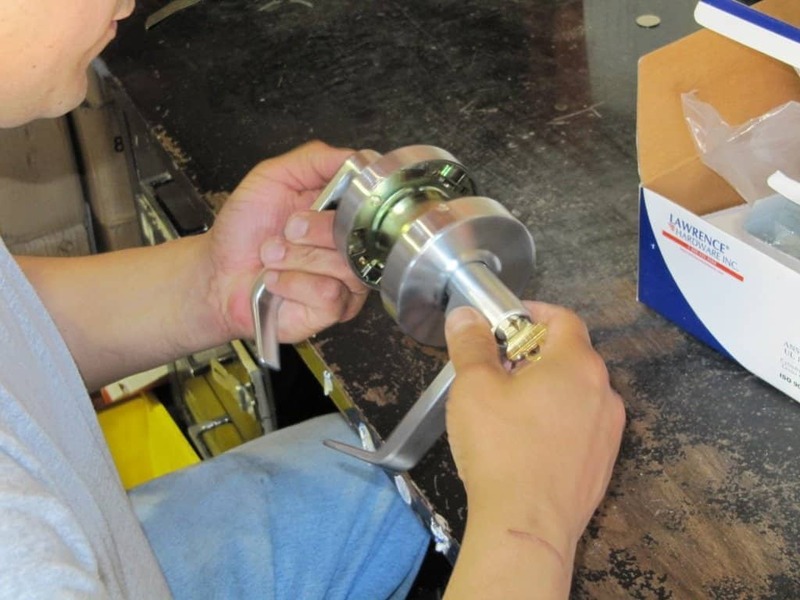 It is one way of ensuring that whatever locking system-related work you need done will be performed properly. It may be costlier than getting the services of an all-around handyman, who may be happy to undertake the work for less. But if you consider the potential cost of fixing poorly installed locks or troubleshooting problems caused by improper DIY fixes, hiring a competent professional locksmith may turn out to be more cost-effective. Keys can get stuck or break off in locks for a variety of reasons. The lock may be faulty and in need of repair, or the key may be damaged or suffering from normal wear and tear. No matter the cause, we can remove the broken key, identify the problem, and restore the lock to a fully functional working condition. Do you fear that your lock may have unauthorized access? Have you lost the duplicate key to your lock? Are you looking for professional lock re-keying services? If yes, then we will be able to solve your problem! We have professional expertise in re-keying locks and this is one of the main services we offer. Recent technological advancements in electronic security have made the fingerprint lock available to all homes and businesses at affordable prices. 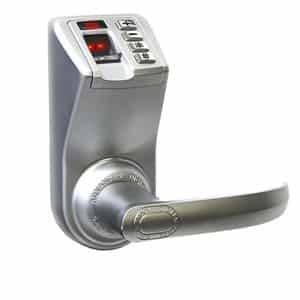 We offer a wide array of high security door locks including fingerprint deadbolt locks, remote-controlled locks and keypad locks at various price points. If you’re looking for a residential locksmith to hire in the future, you can look for a service provider that also offers auto locksmith services. This eliminates the need to hire different locksmiths for your emergency assistance or repair requirements. Check if a potential home locksmith has the relevant training and experience on dealing with the common car keys or locking system issues. 24 Hour Locksmith Pros provides a full range of automotive locksmith services. 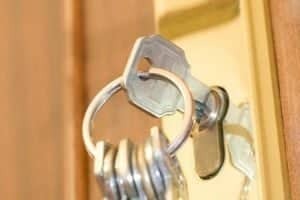 We also provide commercial locksmith services to a number of businesses in Atlanta and surrounding areas of Georgia, from simple locking and lockout solutions to sophisticated keyless entry and high security systems. Ensuring the safety and security of your family and property is something that you wouldn’t want to compromise. After all, you wouldn’t want intruders to invade your home and put your family as well as possessions at risk. No matter how state of the art your locking system may be, improper installation can cause problems later on. It is best that you hire a professional locksmith to install and provide repair services if needed. This can give you the assurance that the job will be done correctly and efficiently. We service the following suburbs and surrounding cities of the Atlanta, Georgia area. 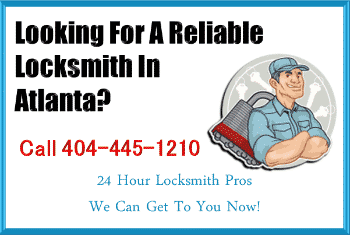 We are the LOCAL,TRUSTED PROFESSIONAL LOCKSMITHS in Atlanta. Our team of qualified, reliable technicians will look after you. We know that lockouts can happen at any time – often at very inconvenient times! If you need immediate assistance, whatever time, call 24 Hour Locksmith Pros as we are totally committed to providing lockout, repair and service 24 HOURS A DAY, 7 days a week. If you need the fastest, top quality assistance from a locksmith, we should be your first call – a local company providing the very best service possible! I locked myself out of my home the other morning. I called Michael at 24 Hour Locksmith Pros. He was very kind. I only had to wait for about 30 minutes for him to show up at my house. He was very professional and courteous and opened the front door quickly, with no damage to the door or the lock. I needed a locksmith to look at my locks and recommend and install more appropriate, secure locks on my doors and windows. 24 Hour Locksmith Pros performed a thorough consultation, quoted me a great price and installed quality locks quickly and efficiently. I hardly knew they were there! I will definitely use them again.